Low Foaming Longer Tool Life Low VOCs All Metal Safe Switch today and optimize your coolant performance! Improved boundary lubrication for greater tool performance. All metal safe with excellent corrosion prevention. Superior bio-stability and hard water tolerance for a longer system life. Low carry-off rate reduces coolant consumption. High detergency keeps machines clean. 21st Century Chemistry in Metal Working Fluids NuSol ® Alumax Preformed Emulsion Technology 801 West Rockton Road, Rockton, IL 61072 Phone: 815.957.4140 Fax: 815.624.0292 www.chemtool.com To learn more about NuSol® Alumax or begin a trial, scan the QR code or visit www.chemtool.com/nusol-alumax OUR CUSTOMERS' SUCCESS "Very impressed with the tramp oil rejection, no misting in the air, and cleaner running machines." "NuSol® Alumax has already lasted two times longer and is still running without any rancidity. 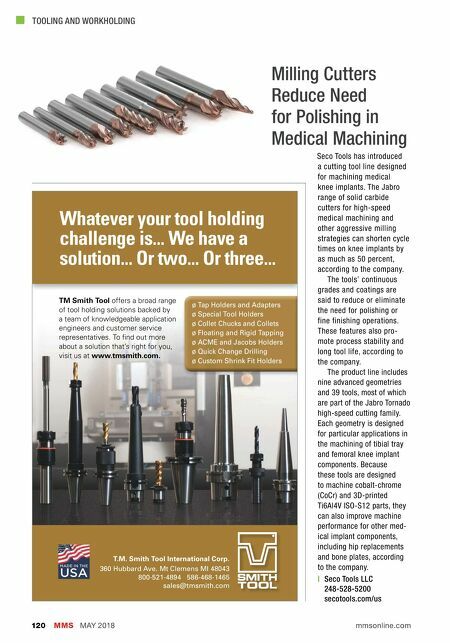 It is also breaking down and cleaning the machining center surfaces." "Our decision to make a change was a "no brainer". 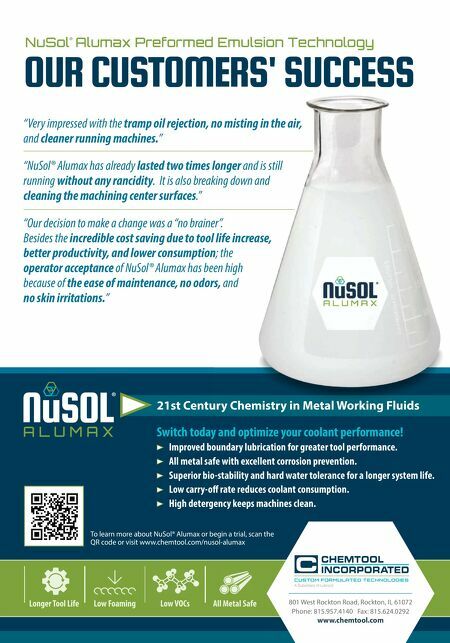 Besides the incredible cost saving due to tool life increase, better productivity, and lower consumption; the operator acceptance of NuSol® Alumax has been high because of the ease of maintenance, no odors, and no skin irritations."